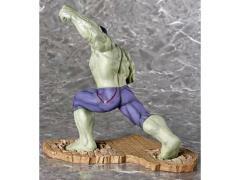 Bruce Banner's under the spell of the Scarlet Witch! Incredible detailing and unique paintwork you won't find anywhere else! 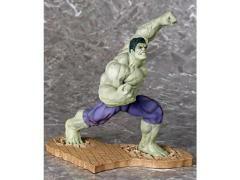 9 1/2-inch tall statue features a fierce battle pose. Pair it with the Avengers: Age of Ultron Hulkbuster Iron Man Mark 44 ArtFX Statue! 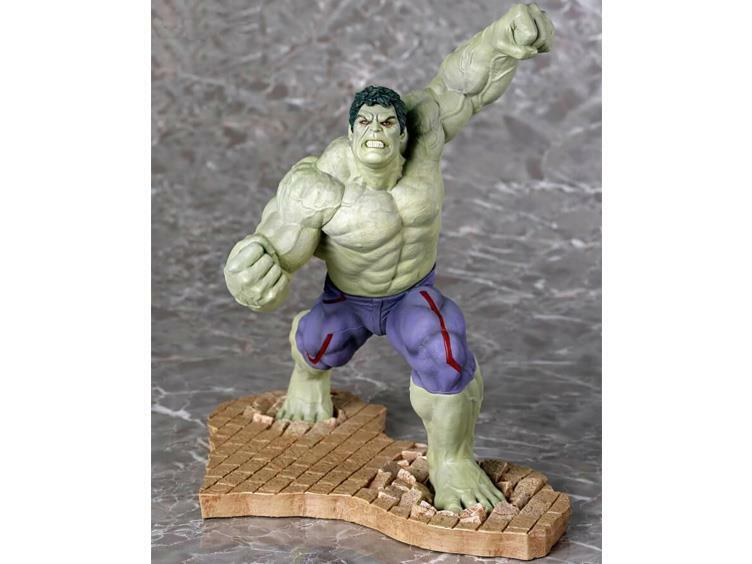 Jumping off the screen of Marvel's Avengers: Age of Ultron and into your collection, the incredible "Rampaging" Hulk is striding forward, ready to smash anyone and anything in his path! 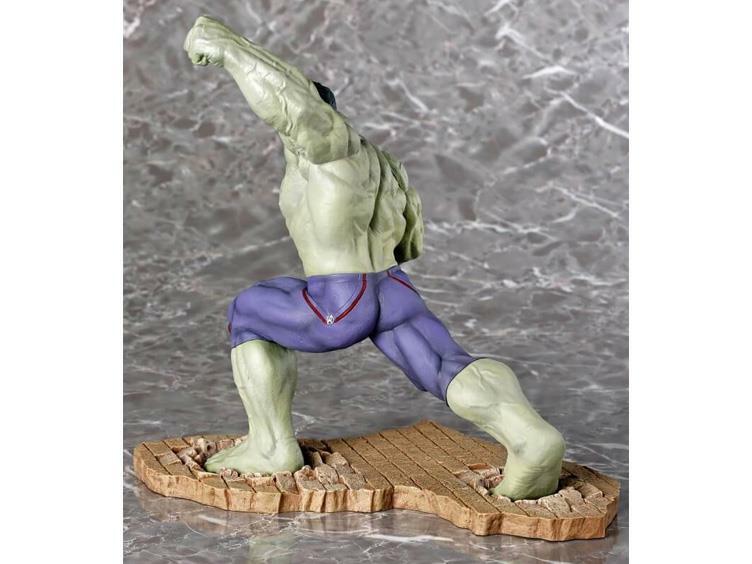 This Avengers: Age of Ultron Rampaging Hulk ArtFX Statue - Entertainment Earth Exclusive presents "the other guy's" look when he was under the spell of the Scarlet Witch, including a lighter green skin tone and lighter purple pants with a darker accent of red streaks. Rampaging Hulk also boasts a darker shade of red in and around his eyes. 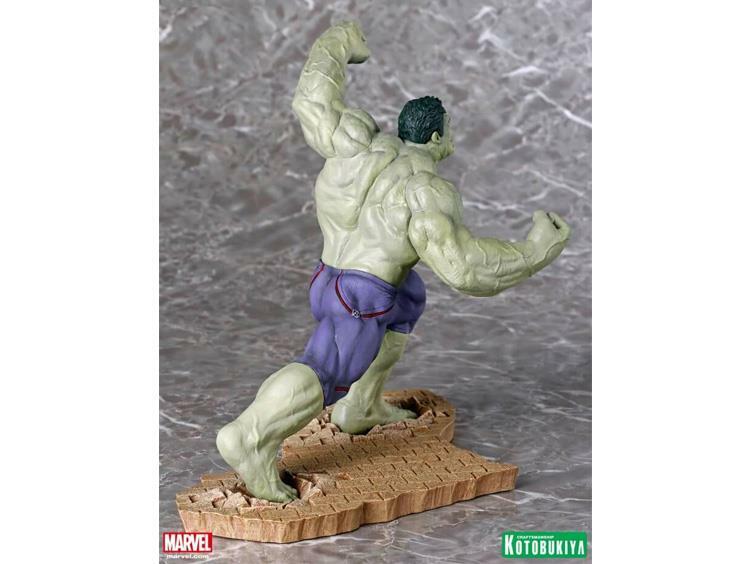 This one-of-a-kind piece features the high-quality sculpt and dynamic paintwork of Kotobukiya's ArtFX line, and in 1:10 scale it measures roughly 9 1/2-inches tall on a special interlocking diorama base.